Pride and vanity is the foundation of many sins. Humility is something totally opposite to it. It leads a man to many great virtues. The more down to earth and humble a man is, the more others tend to like him. What is humility and how it impacts our lives? Let’s take a look at some quotes about humility to get some inspiration to make it part of our personalities. Disgrace or wisdom, what would you choose. Humility is the ability to learn. There is nothing wrong in being little. Artificial or real, the choice is yours. We are not here to gain power but for changing lives. Walk humbly no matter how much power you own. 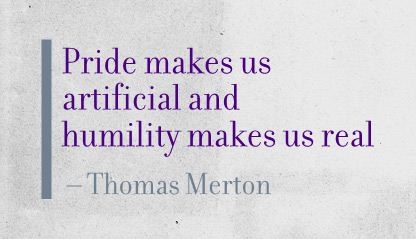 Faking humility does not take you anywhere. We all can be wrong. There is always someone superior than you. There is always room for progress. Humility makes you feel for others. Humility and gentleness take you far away. A man's greatness is tested by his humility. 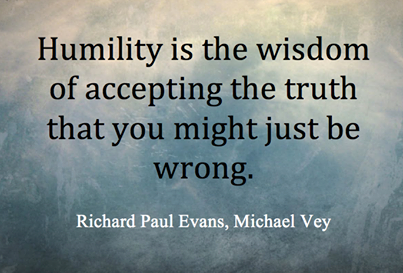 Humility is not a virtue but it leads to many of them. The humbler you are, the more exalted you become. Humility is the foundation of all the goodness. Do not think too high or too cheap of yourself. Choose modesty. Humility, integrity and kindness, the best to be impressed. Humility is accepting your weakness. Adopt the most beautiful grace i.e. humility. Life can lower your pride. This is the essence of all these quotes about humility.